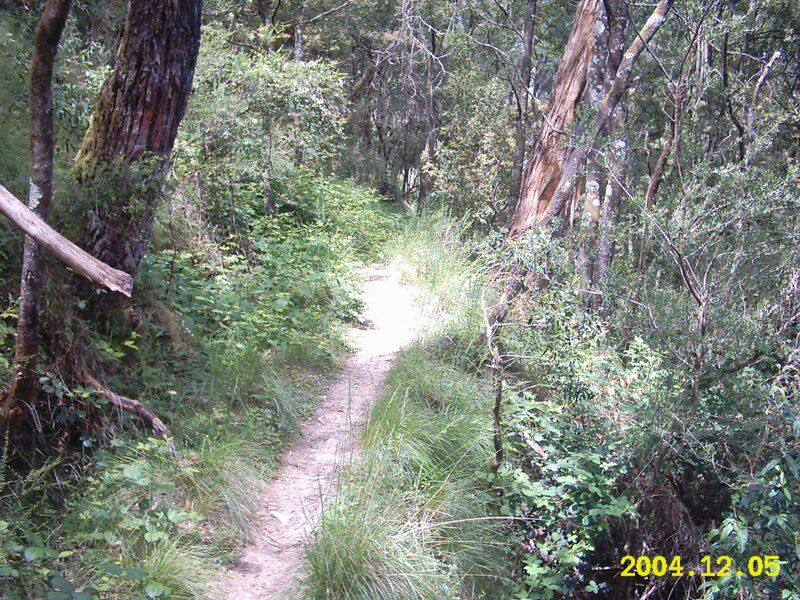 Whipstick Loop Walk, near Garden of St. Erth, Simmons Reef, Blackwood. 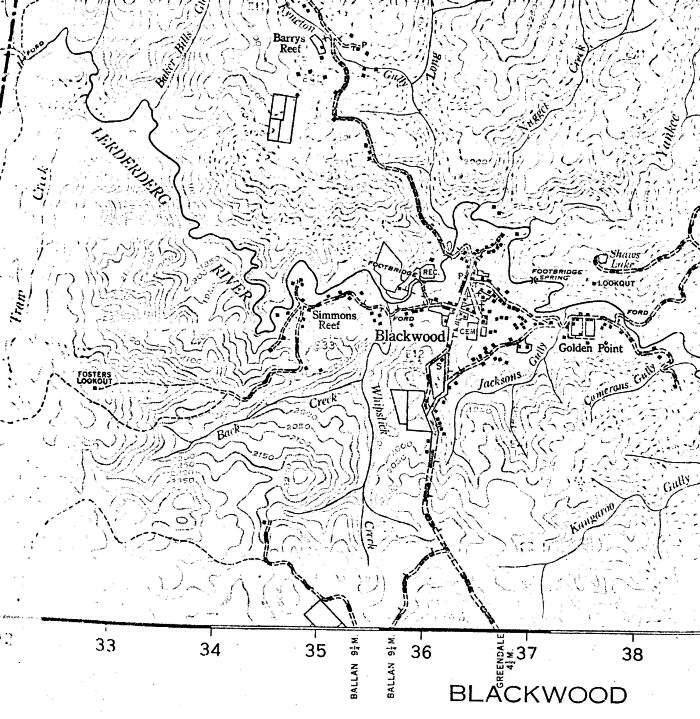 Map of Blackwood courtesy of the Blackwood & District Historical Society. 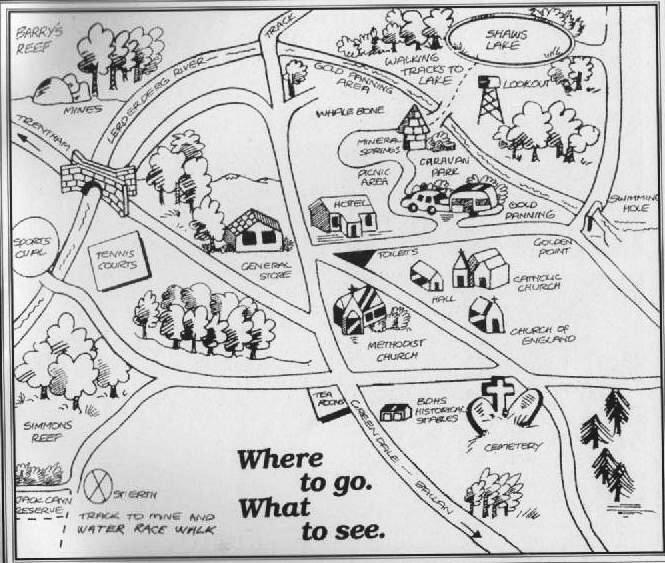 Map of Blackwood and surrounding areas – courtesy of Margot Hitchcock. B.D.H.S. 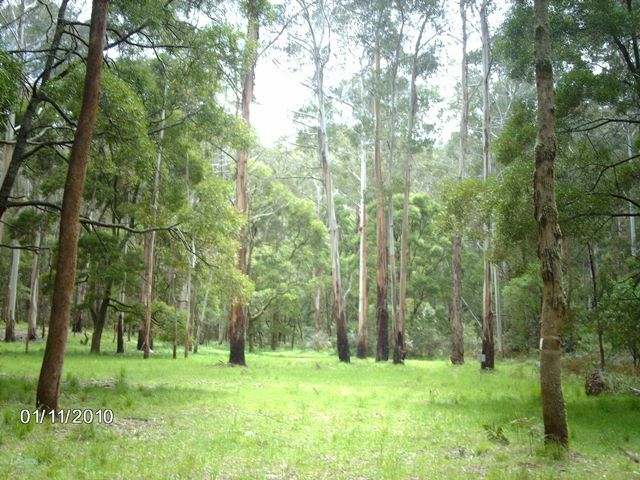 Blackwood has many places of interest to see and places to go whether bush walking, trial bike riding, 4-wheel driving or a family outing. I will add places of interest as I have time with comments. 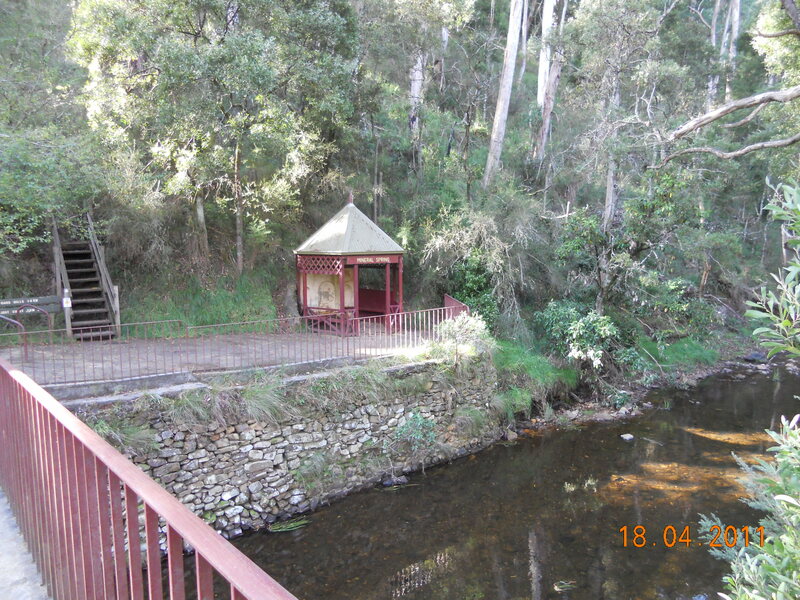 See also holiday house to rent page for further places of interest to see in Blackwood. 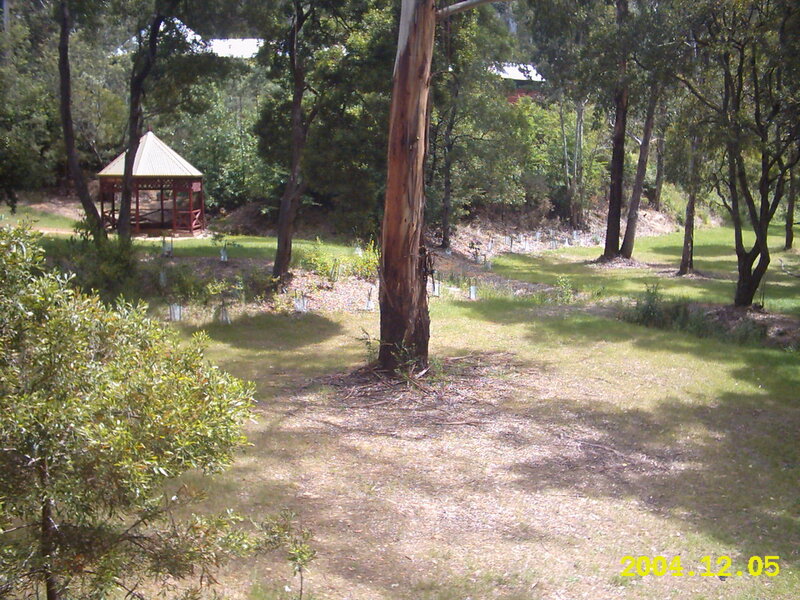 Garden of St. Erth, Simmons Reef open to the public with a small restaurant and ample parking. 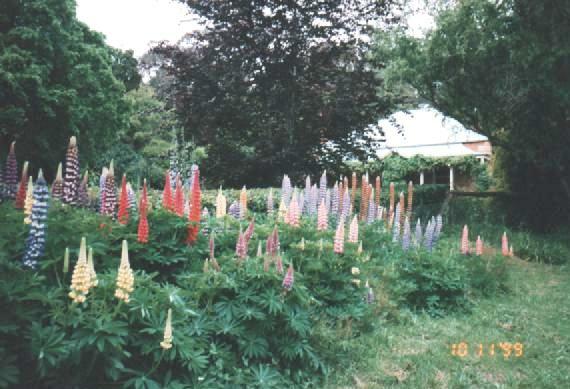 Lupins at Garden of St. Erth, Simmons Reef. 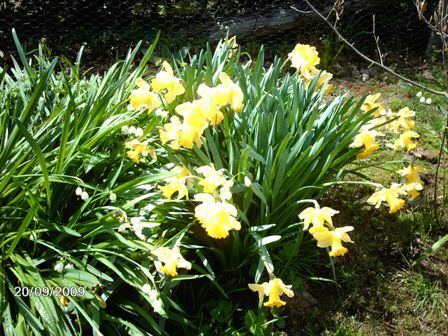 Daffodil Day, of St. Erth, Simmons Reef. 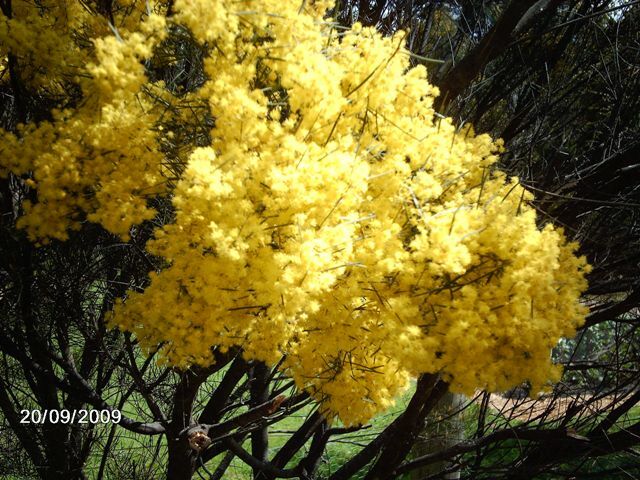 Wattle Tree, of St. Erth, Simmons Reef. 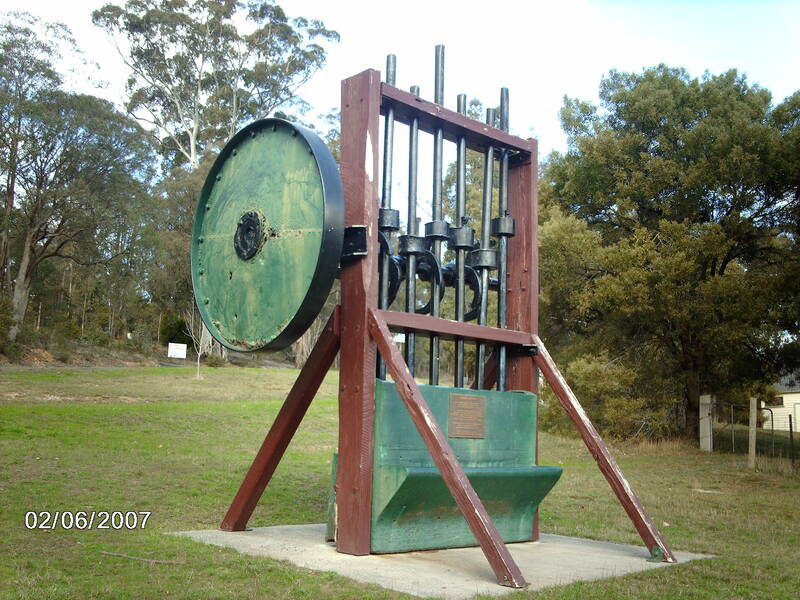 Mining Stamper in main road of Blackwood opposite Hotel. 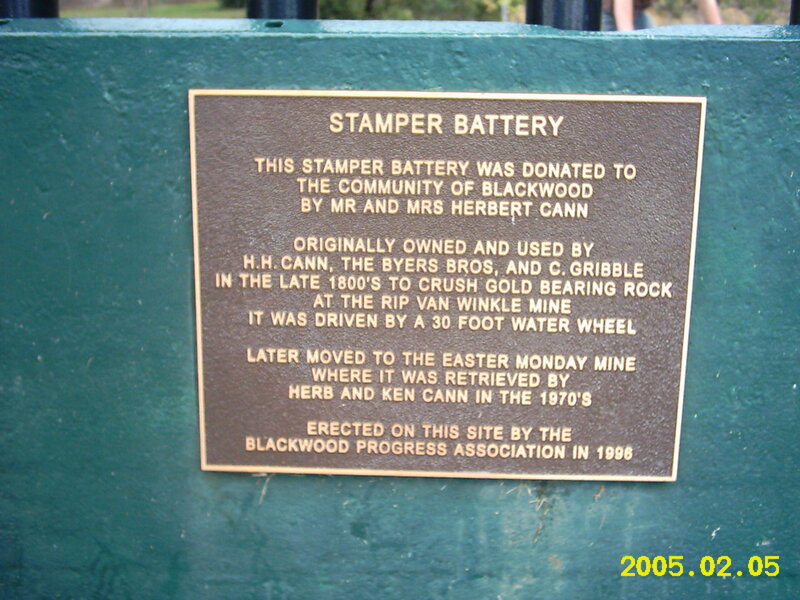 Information on Plaque on MIning stamper, main street, Blackwood. 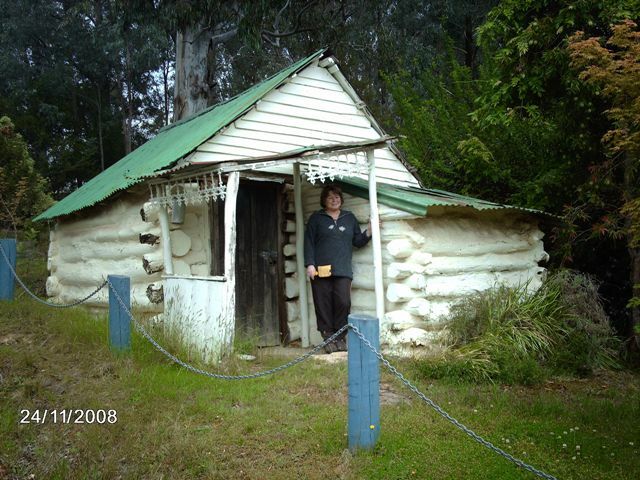 Shaws log cabin, Whalebone road, Blackwood. 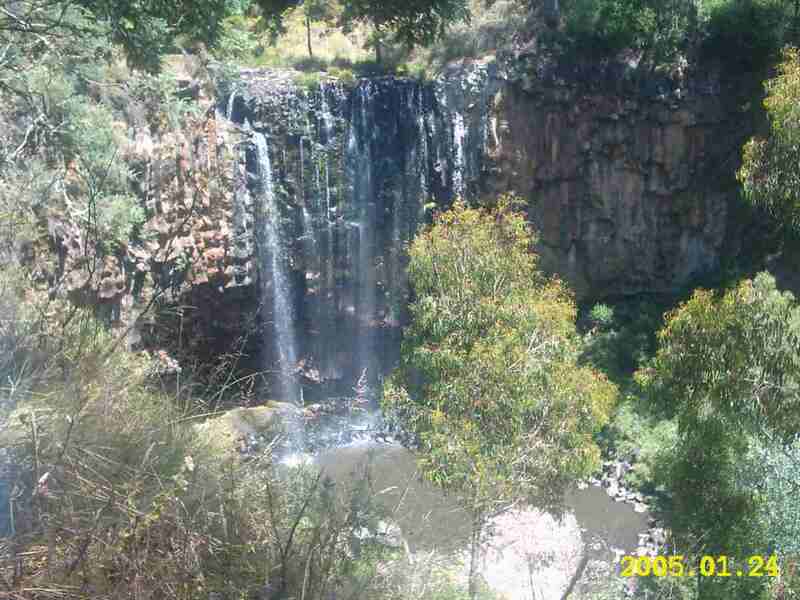 Trentham Falls, north of Blackwood. 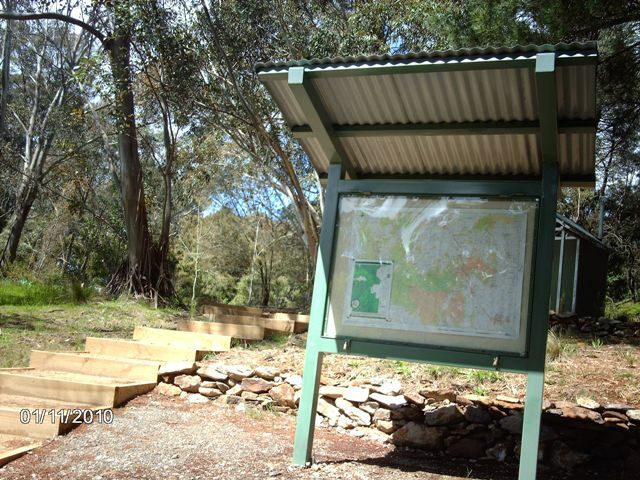 Povey’s Reserve Simmons reef, Blackwood. 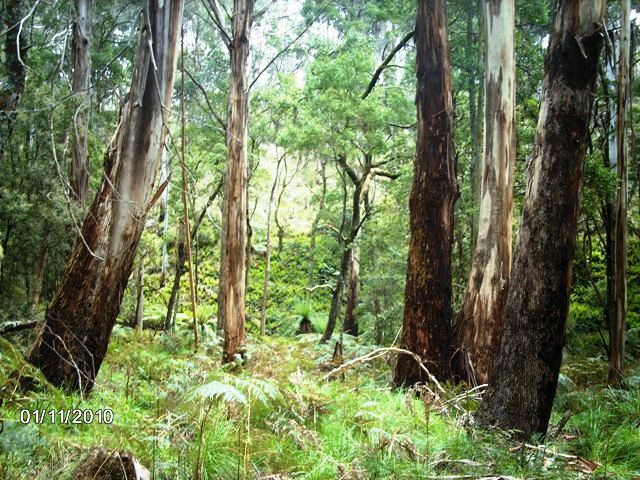 Gum Trees and ferns in Bush, Simmons Reef, Blackwood. 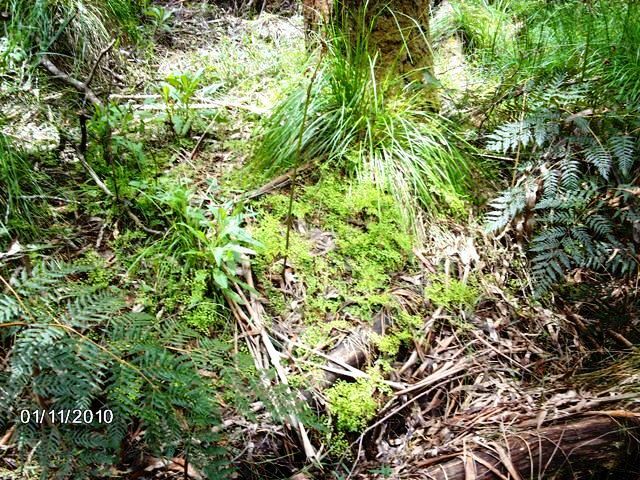 Maiden Hair Fern, – Simmons Reef, Blackwood. 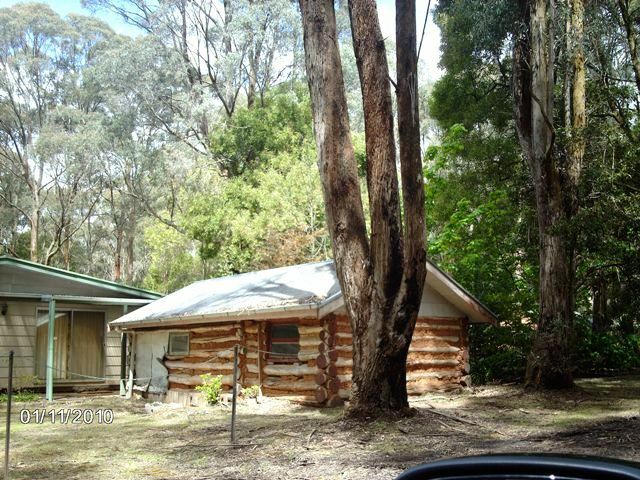 Log Cabin, Simmons Reef, Blackwood. 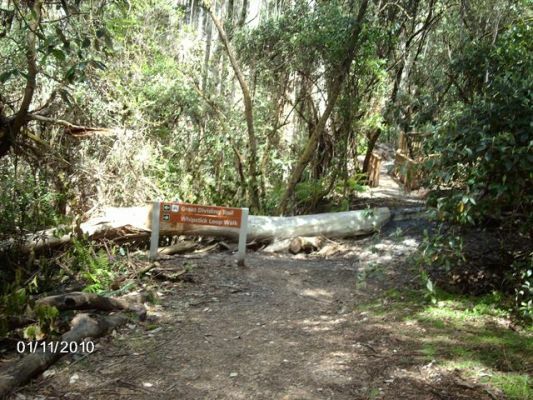 Whipstick Loop walking track, Simmons Reef. 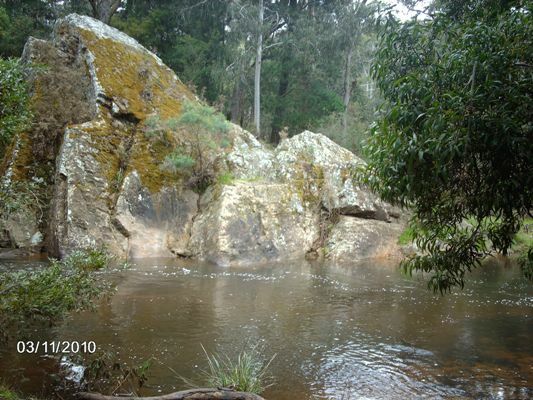 Swimming hole, Sebastopol, Golden Point. 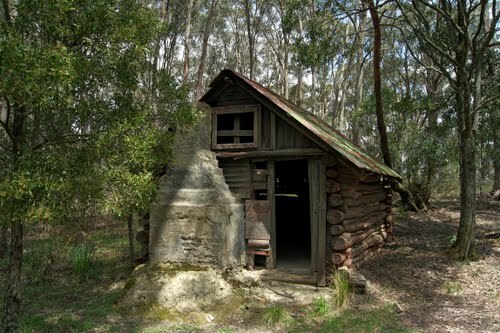 Baldwins Log Cabin, Simmons Reef. 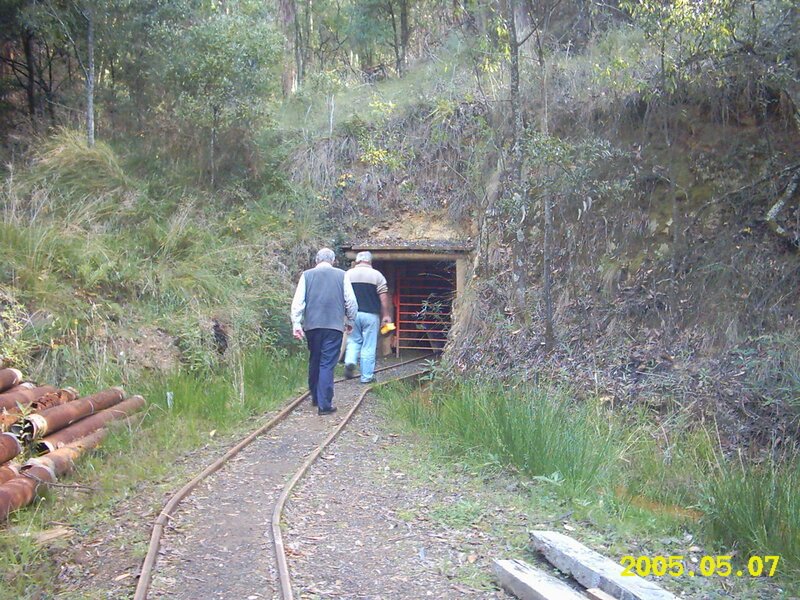 Entrance to Egerton tunnel, Barrys Reef. 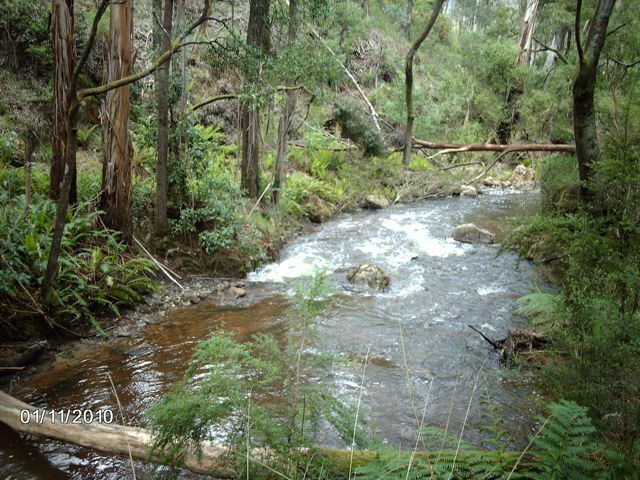 Bush Walks to take from the Mineral Springs. 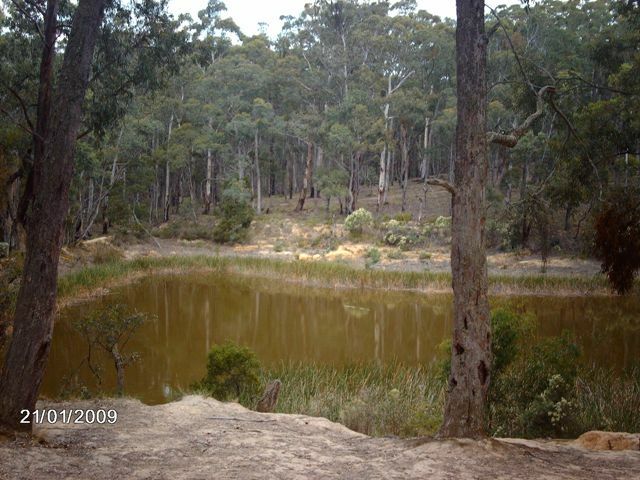 Soda Spring, Mineral springs, Blackwood. 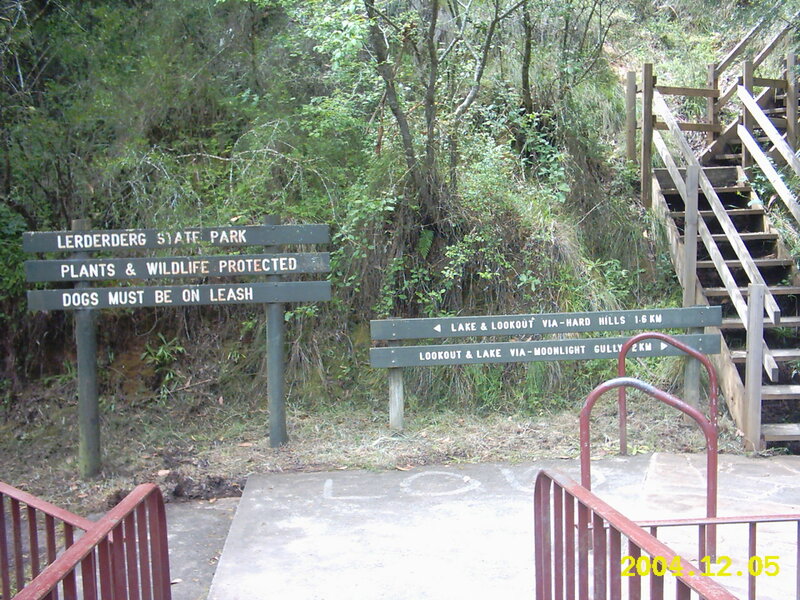 Water-Race walking Track, Mineral Springs, Blackwood. Margot Hitchcock standing outside residence attached to what was once the Royal Mail Hotel. Royal Mail as it stood next to residence in 1980. 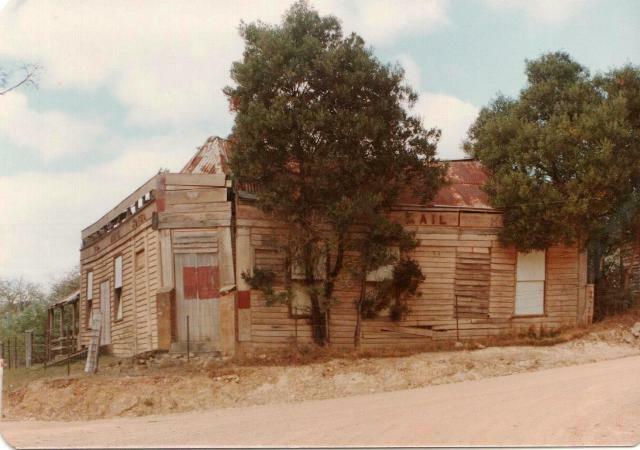 Royal Mail Hotel as it stood on the corner in Golden Point, Blackwood in 1980. 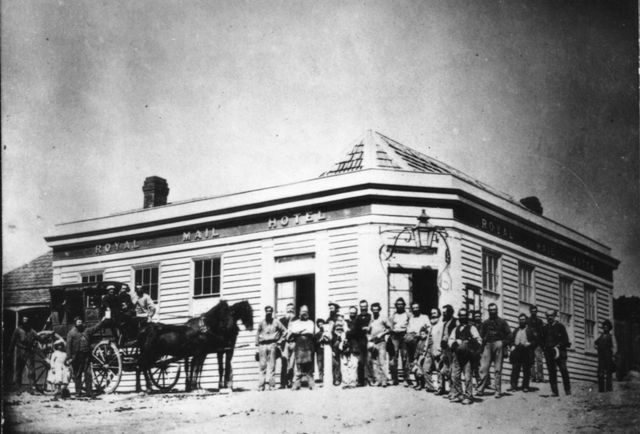 Royal Mail Hotel as it stood in 1880. Courtesy Margot Hitchcock B.D.H.S. 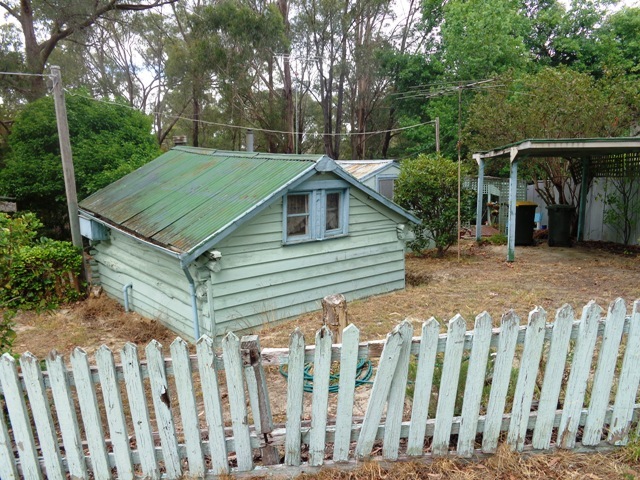 Old log cabin, Whalebone road, Blackwood. 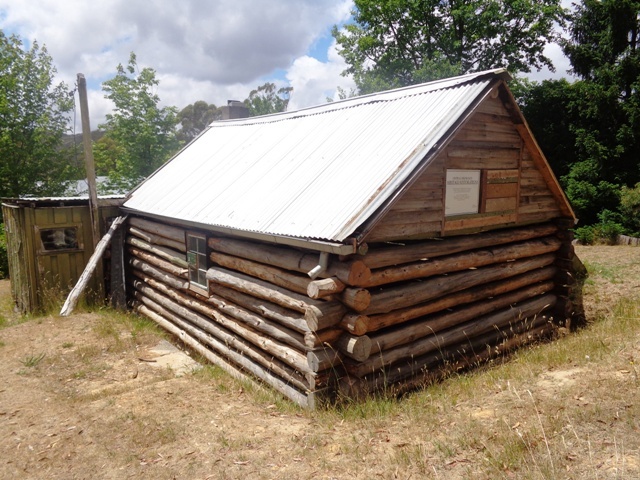 Restored log cabin, Whalebone road, Blackwood. 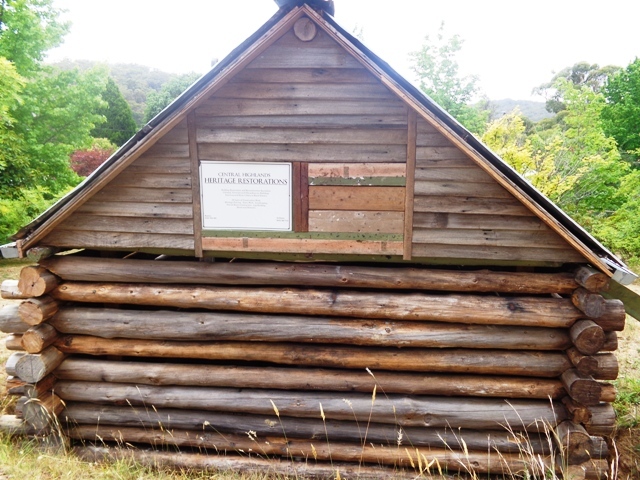 Restored log cabin, Whalebone road, Blackwood by Heritage Restorations. 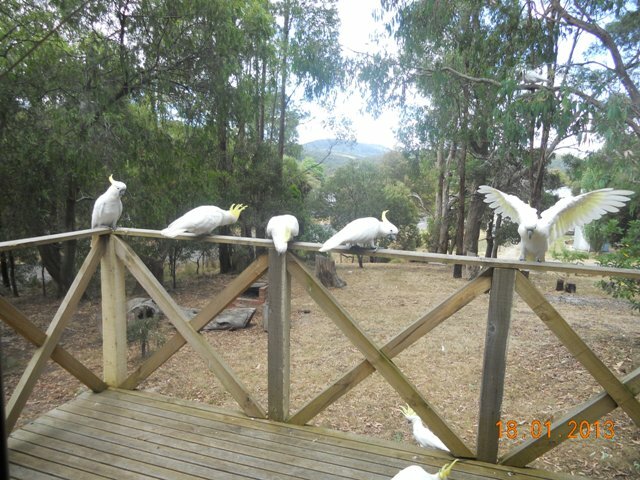 Cookies feeding on front porch of “Wannawong”, Blackwood – see holiday house to rent – see other page. 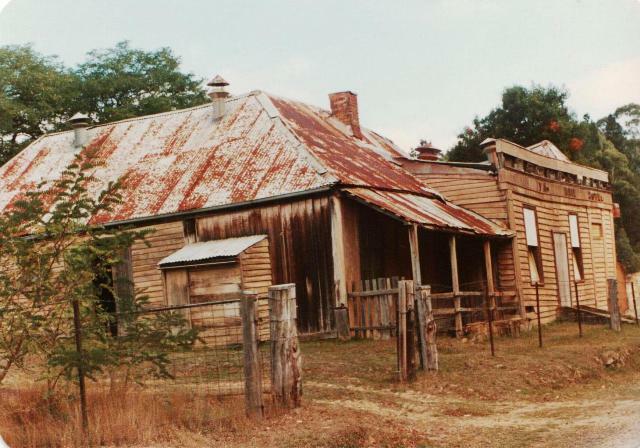 “The quaint country village of Blackwood, once a thriving gold mining community but now more of a picturesque ghost town, is a worthwhile hour’s drive west of Melbourne – especially for the foodies amongst us. Head out along the Western Highway, then after passing Bacchus Marsh (maybe drop in to one of the Avenue stalls for some fresh fruit en route?) take the Greendale/Blackwood road and follow the signs. 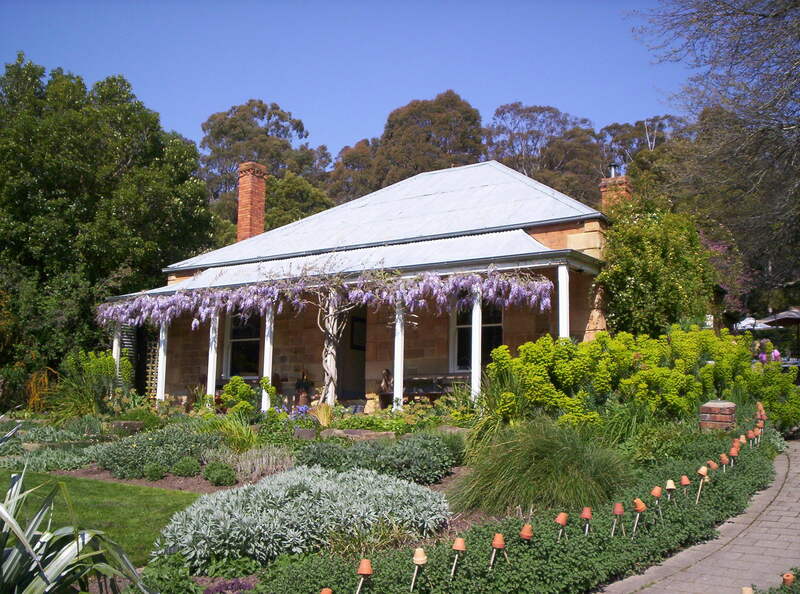 This can be a particularly picturesque way to go if you are heading to Daylesford for the weekend and are not in a rush. 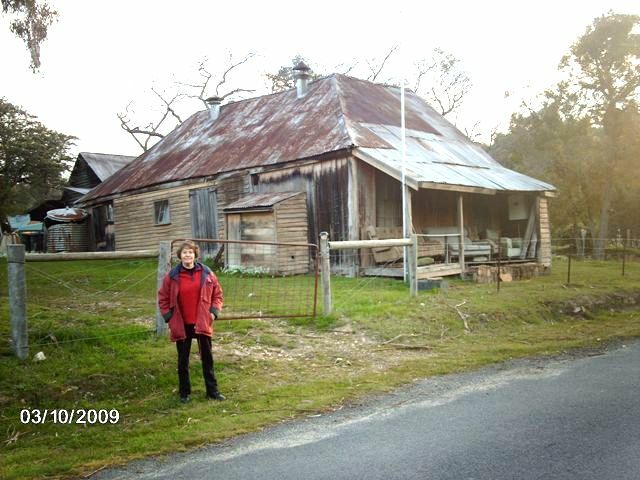 Be careful as you drive through though, or you may miss it – Blackwood is TINY, with just a scattering of old gold-mine era houses, Australia’s oldest continually-licensed weatherboard pub, a gourmet cafe and sprawling antique shop.